You can always find a bulb of garlic hanging out on my kitchen counter. In fact you would be hard-pressed to find any chef that didn’t have garlic as a mainstay in their kitchen. Used as a culinary herb in almost all traditions, garlic is as good for your body as it is on your palate. In my opinion, a bulb of garlic should be a year round adornment in everyone’s kitchen. And no worries about having to replace it every week, a bulb of garlic will last three to six months on the counter. Health benefits: Garlic is certainly not new on the health scene. 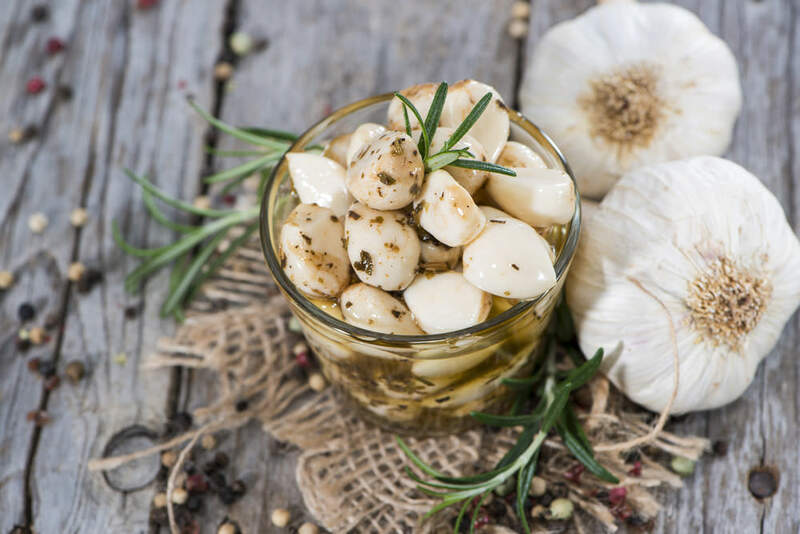 In 400 B.C., Hippocrates used garlic to treat wounds, fight infection, and heal digestive disorders. When I think of the health benefits of garlic, heart health and immunity come to mind first. If you feel a cold coming on, enhance your immune system by adding extra garlic to your meals. Sure your breath may be kickin’ after a garlic-rich meal, but I would say it is the lesser of two evils. Research also thoroughly supports garlic’s ability to lower cholesterol, which is in direct relation to heart health. I say, a clove a day keeps the doctor away! Where to find garlic: It’s easy to find bulbs of garlic year-round in any grocery store. Not a fan of dealing with the bulb? That’s fine, there are often small bags of peeled cloves (the pieces of garlic enclosed in the bulb) found in the refrigerated section of grocery stores. This is a great option for the hassel-free cook. How to prepare garlic: Although garlic powder is an option, go for the fresh bulb if possible. Allicin, one of garlic’s most beneficial compounds, will be found in abundance in fresh garlic, but only in scant amounts in the powder. Besides, fresh always tastes better! Garlic is rarely used as a main ingredient in recipes, but finds it place as a favorite among the spices. I add garlic to almost all stews, soups, roasts, stir-frys, well basically anything savory I cook.